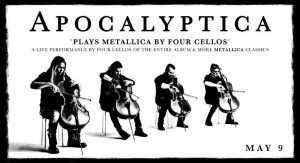 On May 10, 1996, Finnish rockers Apocalyptica released their epic debut “Plays Metallica by Four Cellos.” The instrumental cello-driven rock opus changed the landscape of heavy music for years to come, and now this ground-breaking foursome is making an epic debut at the Gallo Center! To celebrate the 20th Anniversary of the album, the group re-released it remastered with three bonus tracks on July 22, 2016. Added to this new version was brand new, never-before-released instrumental recordings of “Battery,” “Nothing Else Matters” and “Seek & Destroy.” “Plays Metallica by Four Cellos” was a new approach to the hits of the biggest metal band the world has seen. Apocalyptica has created their very own genre and laid the foundation of a career that has lasted for 20 years so far, with millions of records sold and sold out shows around the world. Join us for this very special concert! 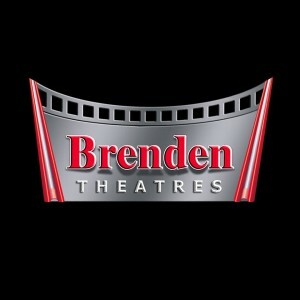 *Call (209) 338-2100 or visit the Ticket Office at 1000 I Street in downtown Modesto. **Ticket sales begin at 10 am by phone or at the Ticket Office. Online sales begin at 11 am. 8-ticket limit.